The Putnam Museum is hosting another sensory-friendly film event! 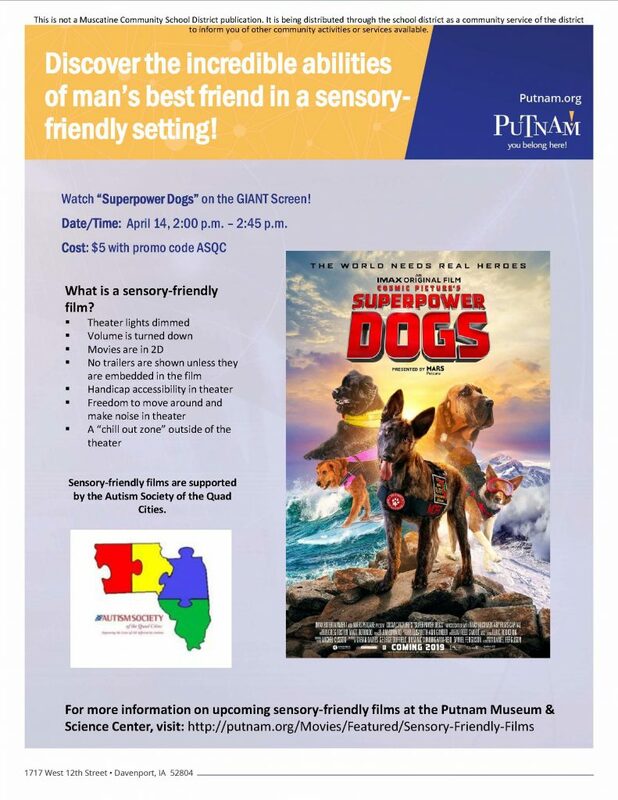 “Superpower Dogs” will premiere in its sensory-friendly version on the Putnam GIANT Screen Theater on Sunday, April 14 at 2:00 p.m. Prior to the sensory-friendly showing of “Superpower Dogs,” the Putnam will hold its Dogs with Jobs from noon to 2 p.m., a FREE event that introduces some of the hardest-working hounds in our community including service and therapy dogs from Quad Cities Canine Assistance Network, Quad Cities Dog Obedience Club and Pawsitive Hearts. Learn more!